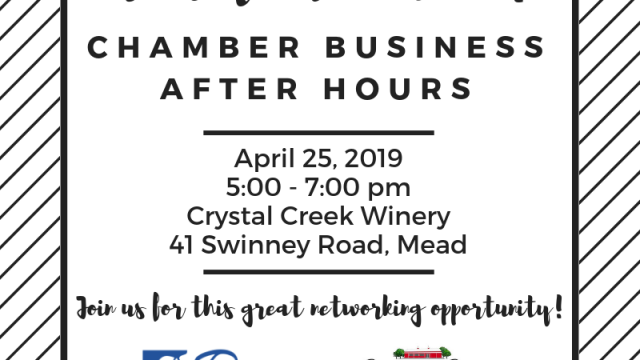 Join us for a Chamber Business After Hours event on Thursday, April 25 at Crystal Creek Winery! Enjoy this great networking opportunity from 5:00 - 7:00 p.m. along with refreshments and fellowship. Hosted by Crystal Creek Winery, located at 41 Swinney Rd in Mead.